11 May, 2017 by	Margaret M.
Oh boy, looks like the Democrats didn’t feel like getting to the office on time at the request of Senate Minority Leader Chuck Schumer. As reported in the Free Beacon, New York Democrat Senator Schumer reportedly sent out a call demanding all 48 Senate Democrats be available and at their desks at 9:30 am this morning. We’ve now learned that only 28 of them were in their proper places at the time. For their own sake, I hope the rest pushed their morning breakfast meetings late so they could avoid being dragged down the Comey rabbit hole with their leader. So far, we don’t know exactly what he planned for the troops or why he needed almost 50 Senate members to rearrange their plans for him, but Sen. Schumer has been busy lately criticizing Trump for firing Comey. Schumer asked all 48 Senate Dems to be at their desks at 9:30. About 28 are here. Late on Tuesday, just after firing Comey, Trump’s tweets were directly attacking Schumer’s response to the incident, pointing out that until recently he had demanded that Comey ought to be fired, but now is taking on the stance that Trump is an evil dictator for firing the FBI director. If Schumer calls Trump firing of Comey a "big mistake," you KNOW it has to be an AWESOME idea! Hillary, Schumer, Maxine Waters & the DNC blamed #Comey for their 2016 loss. Shouldn't they be thanking President Trump for #ComeyFiring? 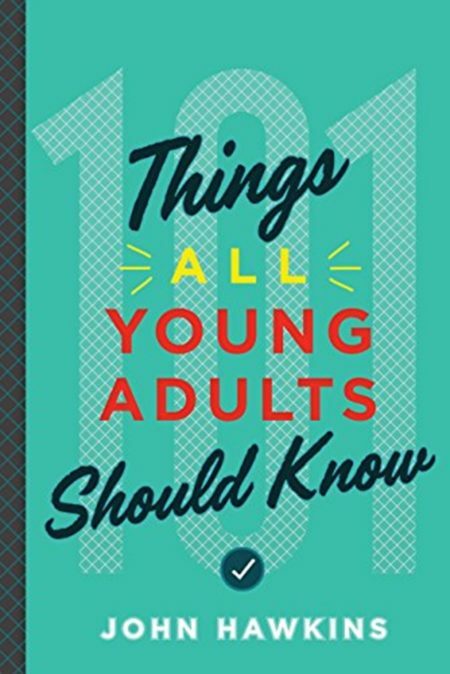 In John Hawkins’ new book, ‘101 Things All Young Adults Should Know’, he teaches in number 84 of the book that there is safety in numbers, and the backing of the Senate Democrats is clearly what ole’ Chuck was looking for here.